Love, Mrs. Mommy: Joovy Room Playard and Nursery Center Giveaway! 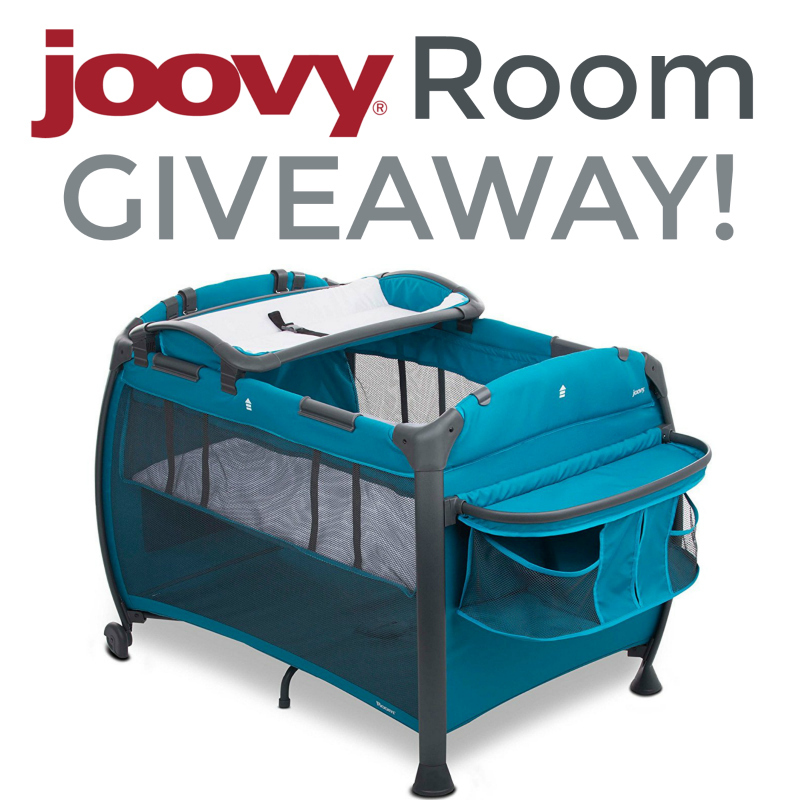 Joovy Room Playard and Nursery Center Giveaway! Have a new baby? This would be a great product to own, especially if you like to travel! The new Joovy Room Playard and Nursery Center offers convenience and functionality in a contemporary design. This premier, full-featured nursery center is a bassinet, changing station and playard, all-in-one. The full-size bassinet on the Room holds an infant up to 15 pounds. Both the bassinet and changing table are removable. A notable feature is the Room's flip-away changing table, it has a sturdy and comfortable vinyl top (not fabric) so it's super easy to wipe down and can support a baby up to 25 lbs. When not in use, just flip over the changing table so it's out of your way. The removable diaper organizer has several compartments to hold wipes, diapers, lotions and more. The giant side pocket is perfect for storing blankets or additional Joovy Room Fitted Sheets. One waterproof cotton sheet that works in the bassinet or playard floor is included, additional fitted sheets are sold separately. The Joovy Room Playard and Nursery Center has two wheels making it easy to move around your home and it includes a zippered travel bag for when you are on the go. If you'd like a chance to win the Joovy Room Playard and Nursery Center, enter using the Giveaway Tools entry form below. This giveaway is open to residents of the continental US (lower 48 states) and ends at 11:59pm EST on July 27th, 2017. Good luck! Groove Ultralight 2017 is amazing! Large wheels, peek-a-boo window for mom to see baby, folds up nicely, and has a carrying strap. What's not to love?